The simultaneous occurrence of heavy precipitation and high coastal surge levels increases coastal flood risk. This study analyses the driving mechanisms behind these so-called compound events along the Dutch coast. It provides a first classification of events using the presence of atmospheric rivers (long filaments of high water vapour) and identifies differences in the meteorological conditions leading to events that can be used to setup an early warning system for coastal regions. Forecasting droughts in Europe 1 month in advance would provide valuable information for decision makers. However, these extreme events are still difficult to predict. In this study, we develop forecasts based on predictors using the geopotential anomalies, generally more predictable than precipitation, derived from the ECMWF model. Results show that this approach outperforms the prediction using precipitation, especially in winter and in northern Europe, where 65 % of droughts are predicted. Natural hazard losses are sensitive to the dependency between extreme values of the hazard variable at different spatial locations. It is therefore important to correctly identify and quantify dependency to accurately model the hazard and its resulting losses. 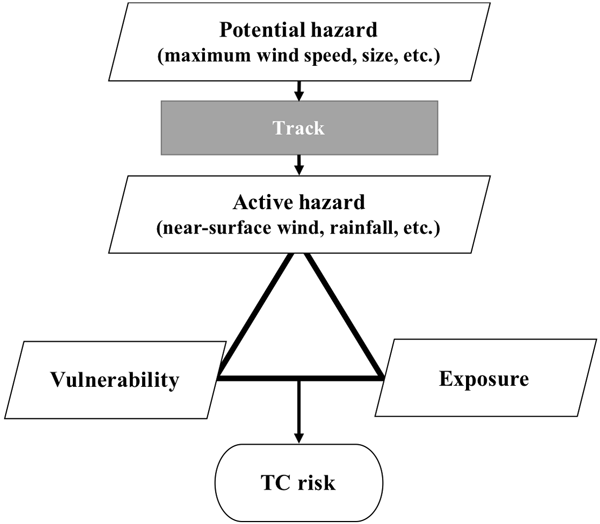 Through application to a large data set of windstorm hazard footprints, this study demonstrates how extreme-value methods can be used to explore extremal dependency and hazard losses in very high dimensional natural hazard data sets. 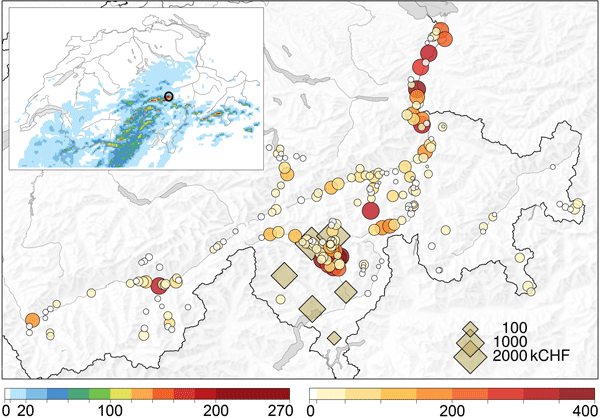 Heavy precipitation events in Switzerland are expected to become more intense, but the seasonality also changes. 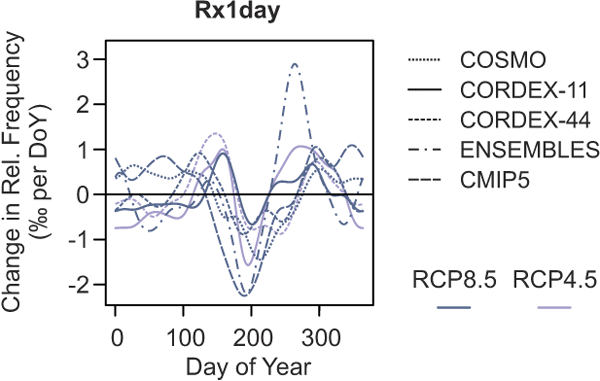 Analysing a large set of model simulations, we find that annual maximum rainfall events become less frequent in late summer and more frequent in early summer and early autumn. The seasonality shift is arguably related to summer drying. Results suggest that changes in the seasonal cycle need to be accounted for when preparing for moderately extreme precipitation events. 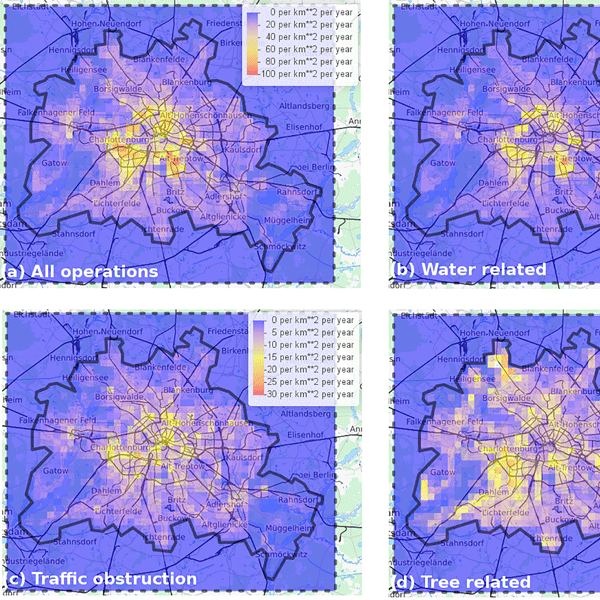 Five synthetic aperture radar images are employed to monitor the changes in the inundation areas caused by torrential rain from 9 to 11 September 2015, in the city of Joso, Ibaraki Prefecture, Japan. The inundation areas were then extracted by setting threshold values for backscattering intensity. The results were modified by considering the land cover and a digital elevation model. Compared with the results from visual inspections, 85 % of the inundation area could be extracted successfully. Urbanization, resulting from a sharply increasing demographic pressure and the development of infrastructure, has made the population of many tropical areas more vulnerable to extreme rainfall hazards. Characterizing extreme rainfall distribution is thus becoming an overarching need in hydrological applications. Using 14 tipping-bucket rain-gauge series, this study provides IDF curves and uncertainties over Senegal. Climate change requires warning end-users that they should be used with care. 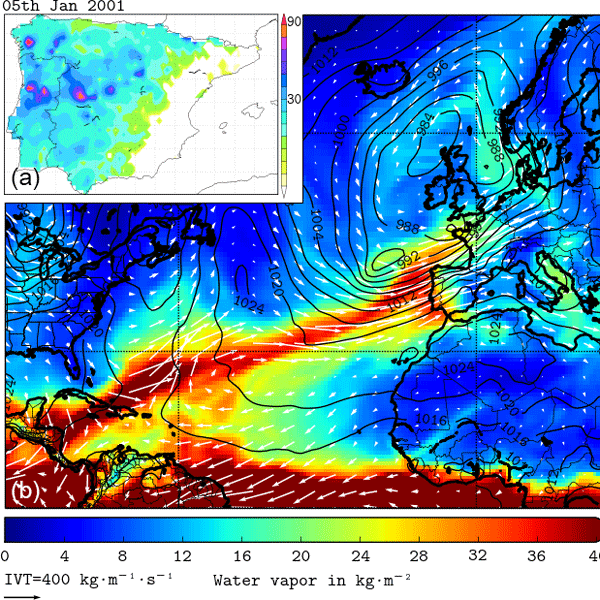 This paper analyzes the connection between the so-called atmospheric rivers (ARs, long and narrow structures of anomalously high water vapor flux located in the warm sector of extratropical cyclones) and floods in the northwestern region of the Iberian Peninsula through the use of the weather types classification adopting the subjective procedure of Lamb. The paper presents a statistical analysis of socioeconomic factors influencing vulnerability and exposure to severe weather. By means of statistical modelling, the risks of weather impacts can be predicted at very high spatial resolutions. Such models can serve as a basis for a broad range of tools or applications in emergency management and planning and thus might help to enhance resilience to severe weather. 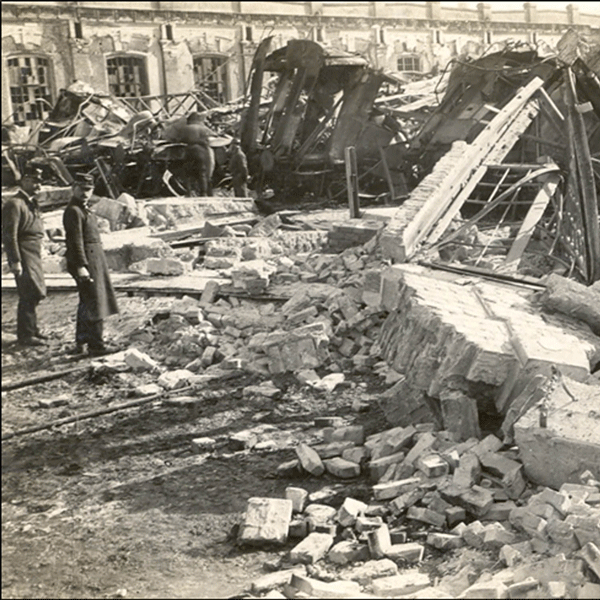 This study of a historical tornado that occurred about 100 years ago was motivated by the fact that rich photo material of the inflicted damage was available. It is important to rate particularly strong tornadoes, because their number is generally low, and statistics of the frequency for such events and the subsequent risk assessment heavily rely on a sound data basis. The tornado reached maximum winds of F4 intensity and caused 34 fatalities. A working method is presented for similar events. The likelihood of severe weather events in synoptically weakly forced thunderstorm (WFT) environments is best characterized by lapse-rate-based parameters. These measures, also among the most accurate model-derived variables, are posited to best capture the subtle convective environmental differences that favor WFT severity. Forecasters should consider weighting their WFT forecasts in favor of lapse-rate-based parameters over others that may be more sensitive to model biases. This study analyses the influence of sea surface temperature (SST) on the track and intensity of tropical cyclone (TC) Yasi and the associated precipitation and storm surge. A set of regional climate model simulations with SST anomalies varying from +4 to −4 °C are analysed and used to force a storm surge model. Increases in SST lead to an increase in the potential destructiveness of the TC (intensity, rainfall and storm surge), although this relationship is not linear. On 19 May 2016 a temperature of 51.0 °C in Phalodi (northwest India) set a new Indian record. In 2015 a very lethal heat wave had occurred in the southeast. We find that in India the trend in extreme temperatures due to greenhouse gases is largely cancelled by increasing air pollution and irrigation. The health impacts of heat waves do increase due to higher humidity and air pollution. This implies that we expect heat waves to become much hotter as soon as air pollution is brought under control. Preparedness activities and flood forecasting have received increasing attention and have led towards new science-based early warning systems. Understanding the flood triggering mechanisms will result in increasing warning lead times, providing sufficient time for early action. 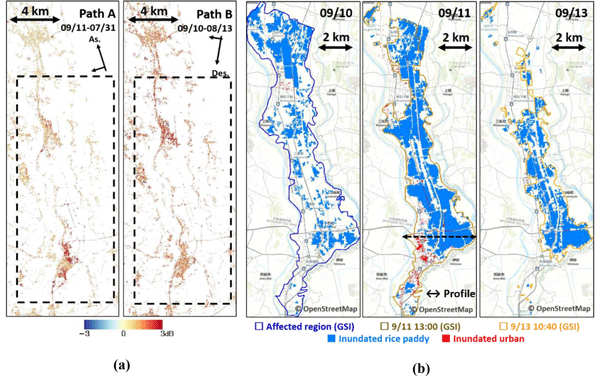 Findings of this study indicate that the consideration of short- and long-term antecedent conditions can be used by humanitarian organizations and decision makers for improved flood risk management. Extreme-temperature anomalies such as heat and cold waves may have strong impacts on human activities and health. 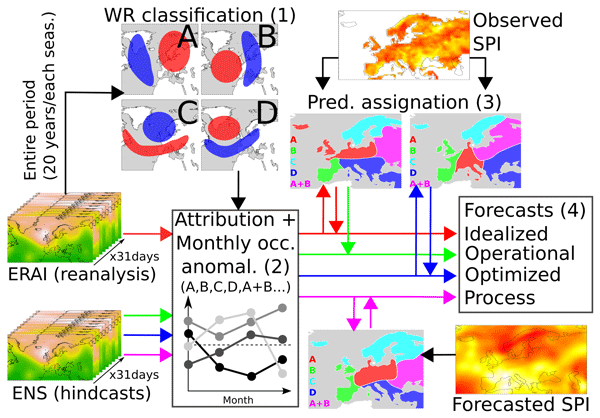 Providing a robust operational system to monitor extreme-temperature anomalies in Europe, developed and validated in this study, is thus of prime importance. This work exposes the methodology and the climatology of these events. It also discusses the associated uncertainties according to the datasets and the methods used. During the hydrological year 2015–2016 (September to August) a severe drought affected the Balearic Islands, with substantial consequences on water availability. In this paper we analyze this anomalous episode in terms of the corresponding water balance. It is shown that the drought was the result of a lack of winter precipitation, the lowest in the last 43 years. In several analyzed meteorological stations, evaporation was greater than precipitation during all the months of the year. Episodes of intense orographic precipitation in the interior of the Iberian Peninsula have been little studied so far. The relationship with areas of mountain and the analysis of weather indexes make this study interesting. The selected area was Gredos, a broad and high range, and its effects on the spatial distribution of precipitation on the Iberian Peninsula plateau results in a sharp increase in precipitation in the south, followed by a decrease to the north of this range. The present work describes the interaction between waves and currents utilizing a coupled ADCIRC+SWAN model for the very severe cyclonic storm Hudhud which made landfall at Visakhapatnam on the east coast of India in October 2014. Model-computed wave and surge heights were validated with measurements near the landfall point. An increase of ≈0.2 m in Hs was observed with the inclusion of model currents. 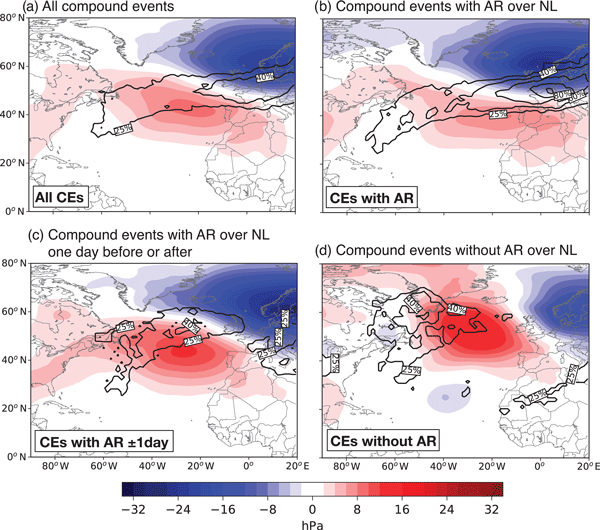 A total of 743 Asian dust storm (ADS) events from January 2003 to August 2015 were analyzed using backward trajectory HYSPLIT models to gain insight into the dust generation and transport in eastern Asia. Spatial distribution of ADS events is northwesterly, as more than two-thirds of ADS events are azimuthally confined. The total amount of cumulative PM10 discharge was rather constant over time in Korea, as there is an inverse correlation between ADS occurrence and PM10 dust air concentration. 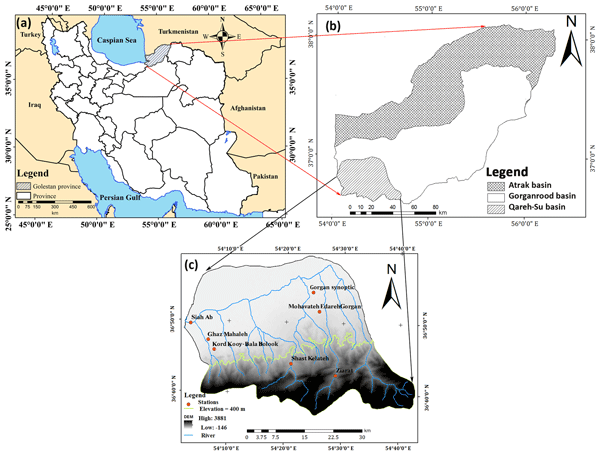 This paper investigated the meteorological role of an extraordinary rain event over Artvin. Although alert messages were prepared by the Turkish State Meteorological Service on August 23 at 09:00 UTC, 11 people died and infrastructures, buildings, private property, and public goods were damaged as a result of the flash flood. 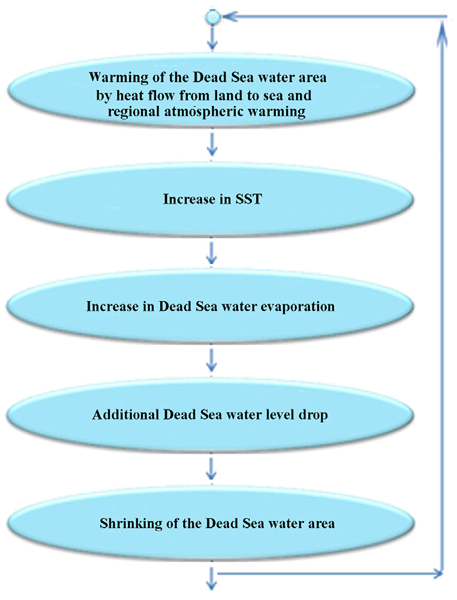 It is hoped that more detailed studies will be performed on synoptic development leading to extreme summer precipitation events in the eastern Black Sea. This paper presents a very high-resolution atlas of daily precipitations across the Balearic Islands. The generation of this data set not only allows us to lay the groundwork for future updates ingesting a myriad of observation sources but also aims to provide support to local and network–topology independent studies of precipitation–sensitive systems such as ecosystems, water resources and energy systems. As an example, a better understanding of the negative precipitation trends is found. We propose a strategy for quantifying the maximum effect a temperature change has on heavy precipitation amounts, making use of the limited available sources of information: laws of physics, seasonal variations, mathematical estimation of probability, and s large number of climate model results. An upper bound is estimated rather than the most likely value. Due to the small-scale and non-stationary nature of the convective wind gusts usually associated with thunderstorms, there is a considerable lack of knowledge regarding their characteristics and statistics. Thus, we investigated the temporal and spatial distribution, intensity, and return values of those wind events in Germany. 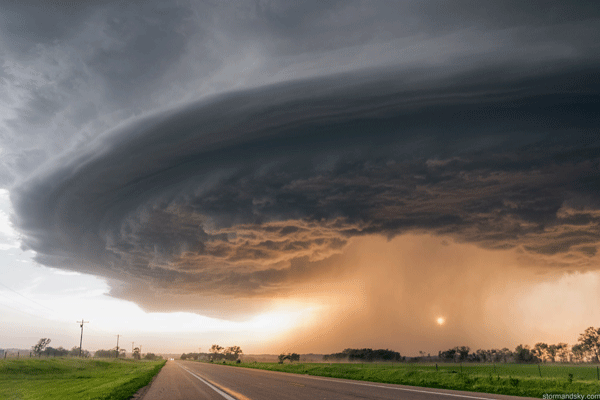 The study constitutes a fundamental addition to an improved understanding of convective wind gusts and serves as basis for further risk assessments. We explored the potential of a sedimentary sequence in Valle d'Aosta (Northern Italy) as a natural archive of hazards. Our results suggest that this sequence is regionally the most sensitive to earthquake shaking with the record of 8 earthquakes over the last ~270 years and that it well represents the regional and (multi-)decennial variability of Mediterranean summer–autumn floods. Hence, this sequence offers a great potential to extend chronicles of regional floods and earthquakes back in time. 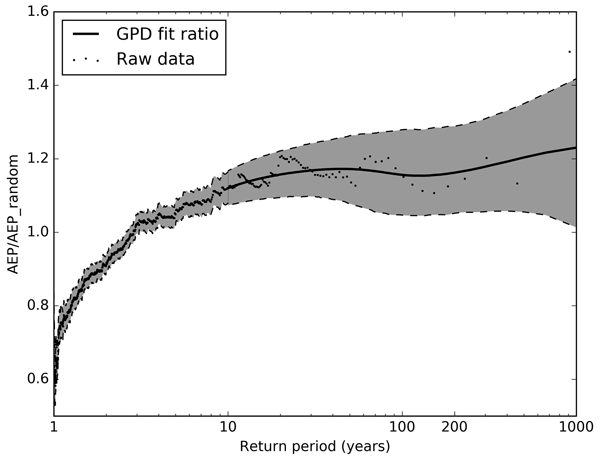 Return values can be estimated from large data sets stemming from numerical models. The question explored here is how much of the original data must be kept in order to compute unbiased return estimates. We find that retaining only a small fraction is usually enough. This offers huge storage and computational savings. We provide a set of examples to demonstrate how this can be done. The study presents a newly developed statistical method to assess the risk of thunderstorms in complex terrain. Observations of lightning serve as an indicator for thunderstorms. The application of the method is illustrated for Carinthia which is located in Austria, Europe. On 1 August 1674, very severe thunderstorms occurred along a squall line from northern France to the northern parts of Holland, where damages were particularly severe. Using reported and pictured observations of damages, a reconstruction of this storm is made and an interpretation using modern meteorological concepts is given. Special attention is given to the city of Utrecht, which was hit hardest and where the impact of this storm is still recognisable in the cityscape. This paper describes an approach to derive probabilistic predictions of local winter storm damage occurrences. Such predictions are subject to large uncertainty due to meteorological forecast uncertainty and uncertainties in modelling weather impacts. The paper aims to quantify these uncertainties and demonstrate that valuable predictions can be made on the district level several days ahead.